Most 17-year-old girls are busy thinking of ways to ace their chemistry exam or frantically trying to find a prom dress as spring rears its head — but Nobel Peace Prize winner Malala Yousafzai, who was shot in the head by a Taliban attacker in 2012, is pre-occupied with something much bigger. The Pakistan-born teen has spent the last seven years blogging and speaking on women's and girls' rights in front of audiences at United Nations conferences and global humanitarian gatherings and on Wednesday last week, one astronomer decided to award Yousafzai one extra special gift for all of her efforts. It's official: Asteroid 316201 is now officially named "Malala" in the NASA record books. "As the discoverer of [Asteroid 316201], I have the right to name it according to the International Astronomical Union's rules," wrote Dr. Amy Mainzer, astronomer and principal investigator of the Jet Propulsion Laboratory's NEOWISE (Near Earth Object Wide-field Infrared Survey Explorer) project, in a post for The Malala Fund last week. "My postdoctoral fellow Dr. Carrie Nugent brought to my attention the fact that although many asteroids have been named, very few have been named to honor the contributions of women (and particularly women of color)." Mainzer called it a "great pleasure" to name the object after Yousafzai. Orbiting our sun every 5.5 years, 316201 Malala (alternatively known as 2010 ML48) is a Main Belt asteroid from the breadth of space between Mars and Jupiter. Discovered in June 2010, the asteroid is about four kilometers wide and is a deep, inky color — information that was derived from the NEOWISE space telescope, which hovers in a low-earth orbit. NEOWISE has previously analyzed hundreds of other near-earth objects and comets to judge their relative threat to our home planet, picking out the rocks from the blackness of space due to their cooler surface temperatures, which show up on imaging scans as a deep red, rather than bright blues and whites (like nearby stars). "Carrie and I read about Malala's amazing story and thought that if anyone deserves to have an asteroid named after them, she does," wrote Mainzer. "We desperately need the brainpower of all smart people to solve some of humanity's most difficult problems, and we can't afford to reject half the population's," she added, supporting the education advocacy on which Yousafzai so often speaks. The 17-year-old has long been an activist for young girls worldwide, campaigning since a young age for the equal treatment and learning access of youth everywhere. On March 9, Yousafzai published a piece in TIME magazine urging global leaders to address the growing threat of Boko Haram against schoolchildren, citing a young woman, Amina, who was given a scholarship to the Centre for Girls' Education, a local NGO in Northern Nigeria (which is now supported by the Malala Fund). "Despite the always present threat of violence and the fact that girls hardly ever attend secondary school, Amina persisted," wrote Yousafzai, who met the teen during a visit in 2014. "I know firsthand that the act of simply showing up at school is dangerous. It takes courage." Mainzer seemed to agree, stating that the opportunity to name the discovered asteroid after the youngest Nobel Peace Prizewinner was "a great honor." "My advice to young girls is that science and engineering are for everyone," wrote Mainzer. 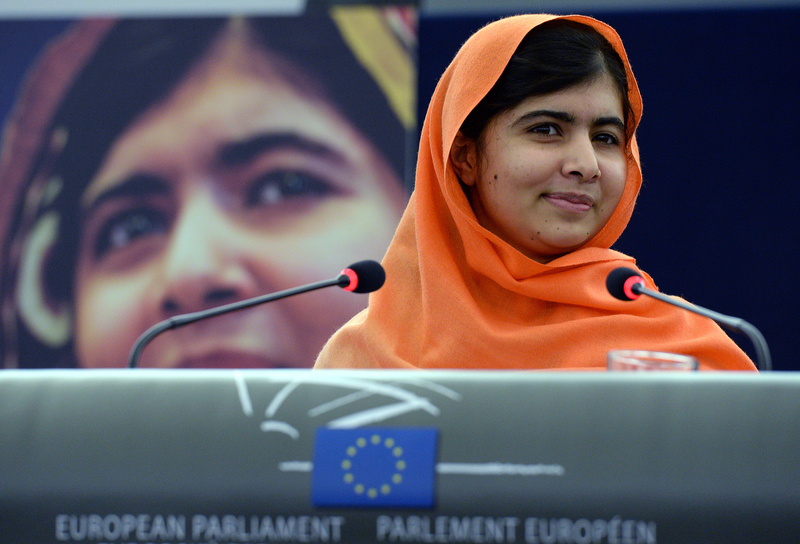 "[It's] inspiring to see all the great things that [Malala and her supporters have] done."